I was on a roll this week and full of enthusiasm and ready to bake. I had found a few bargains for these bakes and surprise surprise, they weren’t from Lakeland this week but from T K Maxx of all places! The tins were a fraction of the price they should be and the silicone dariole mould was from Ebay. 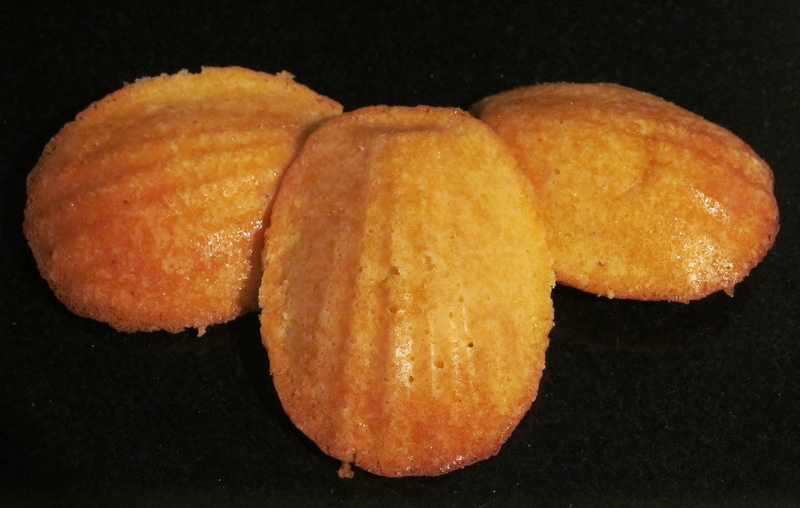 Mary Berry‘s Baking Bible lists both types of madeleines and I made the French madeleines first. The batter was easy enough to mix and I used a spoon to put some in each shell space and put the tray in the oven- oh I did oil and flour the mould first to try and ensure no sticking. The first batch came out soon enough and they came out of the tray fairly easily. The second batch went in soon after. The mould provides a shell shape with some ridges. I wasn’t overly keen on these, I thought they were quite plain and needed something to liven then up, perhaps dipped partly in icing of some flavour? I didn’t fancy dipping them in my tea as Mary suggests! 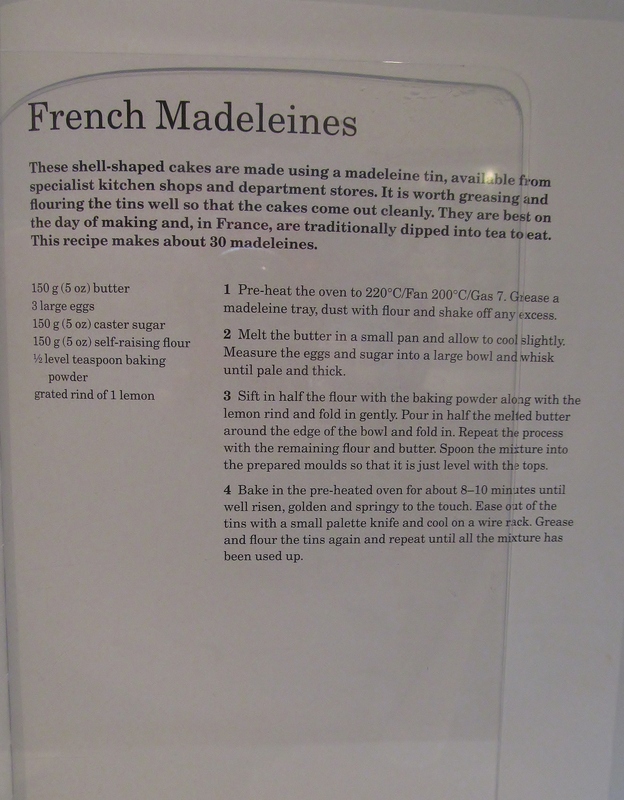 The second recipe, English madeleines looked lovely but I was a bit more daunted by these. I oiled and floured the silicone mould, made the batter and filled each dariole mould half way. I put the mould on a baking tray and into the oven it went. When this batch was done, I left the cakes to cool slightly and then had the fun of trying to get the cakes out of a floppy mould….it is a technique! I refilled the mould and put that in. Mary’s recipe asks you to cut the bottom of the cake so that it sits upright. 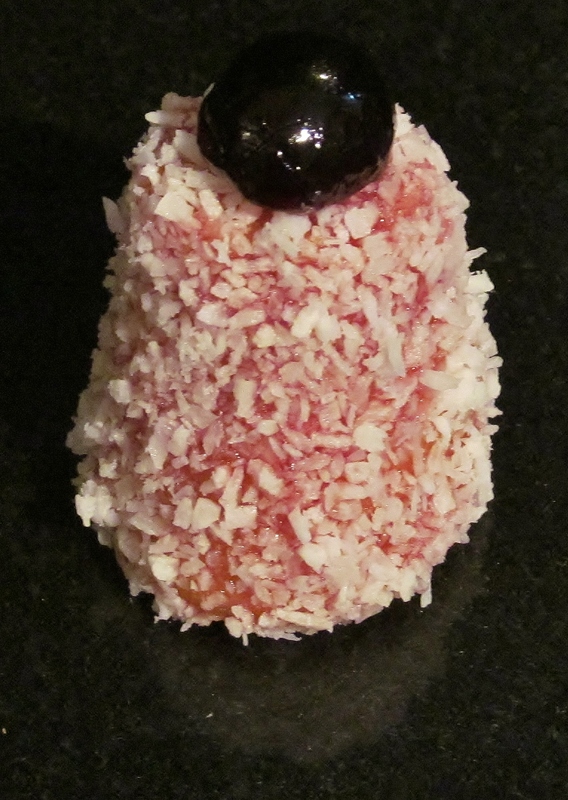 Then push some jam through a sieve, heat it, put the cake on the end of a fork, roll it in the jam and then into a bowl of dessicated coconut. Finally top them with a cherry half and I found instead of normal cherries for cooking, I have found morello cherries- they are very tasty but are quite a lot darker as you can see in the picture. The Great British Bake Off is getting more exciting by the week, I loved the traybakes this week and I though Christine deserved the Star Baker award this week, she was on top form. 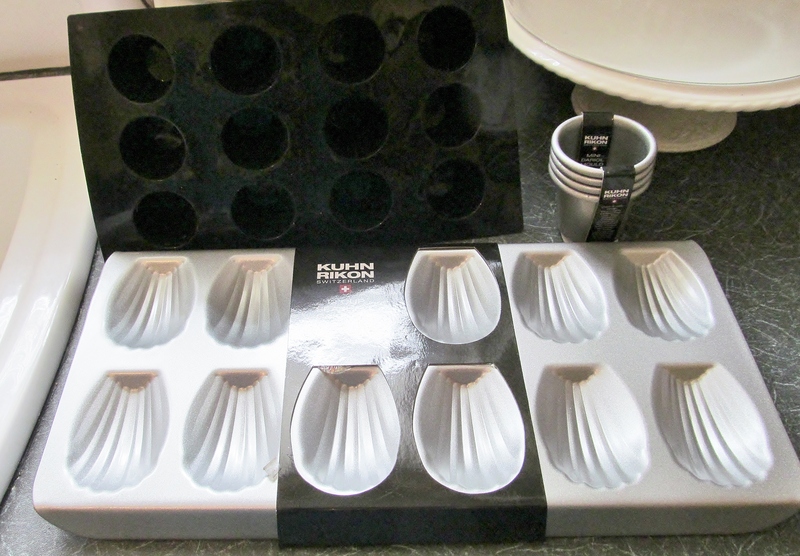 The tuiles were a challenge and a half…and there is a recipe for almond tuiles in Mary’s book that I have yet to do….gulp! 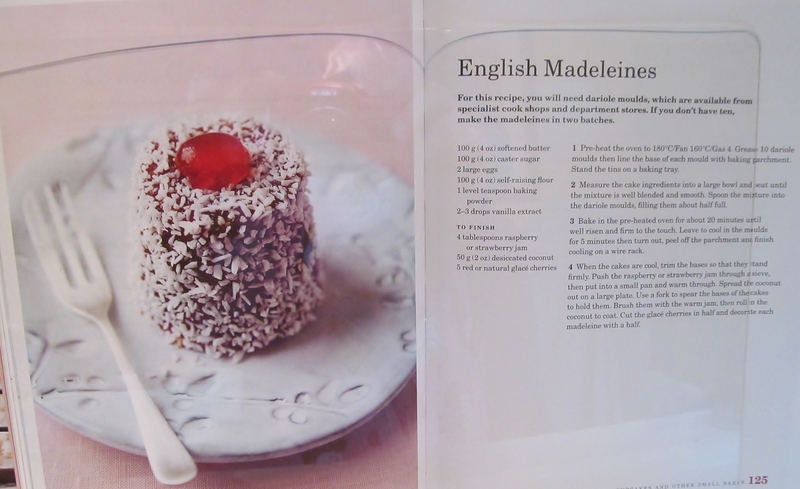 This entry was posted in Kim's cake challenge and tagged Baking Bible, Cake, Great British Bake-Off, kims cake challenge, lakeland, Mary, Mary Berry, Mary Berry's English Madeleines, Mary Berry's French Madeleines, Sheet pan by kimsideas. Bookmark the permalink.